Dr. Stacy Thompson was raised in the Bay Area and has over 25 years experience in higher education. As an educator, Dr. Thompson supports community college students of color reach their educational goals and mentors faculty, staff and administrators who wish to advance their careers in the community college setting. Dr. Thompson started her career in higher education teaching Early Childhood Development at Merritt College in Oakland, CA. After 10 years in the classroom, and graduating from the Leadership Development Institute, she became the permanent Dean of Humanities and Social Sciences at Merritt College. 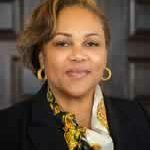 Currently, Dr. Thompson serves as the Vice President of Academic Services at Chabot College in Hayward, CA. Her primary responsibility includes directing and supervising all academic instructional programs on campus. In addition, she serves as the Accreditation Liaison Officer, coordinates all enrollment management and promotes a marketing plan to increase enrollment and the visibility of the college. Dr. Thompson provides leadership in the development of curriculum and programs in accordance with college goals to meet the needs of the diverse student population. Dr. Thompson has a long history of implementing community college innovations designed to increase student success including Math Jam, Adelante, Emergent Teacher Program, Maximum Achievement Program (for African American male), Kids College, STEM Awareness Day, RISE (for formerly incarcerated) and a variety of off-site courses. She has been instrumental in the attainment of key funding from county, state and federal sources to support students. Dr. Thompson is a board member of the Western Region Council on Black American Affairs and President of the Black Education Association. She also serves as Chair of the Alameda County Commission on the Status of Women whose mission is to increase parity for women and girls in housing, employment and to bring awareness to issues such as domestic violence and sexual assault. Dr. Thompson graduated from the Lakin Institute in 2016.